Current guidelines do not provide practical guidance for how to approach step-up therapy. 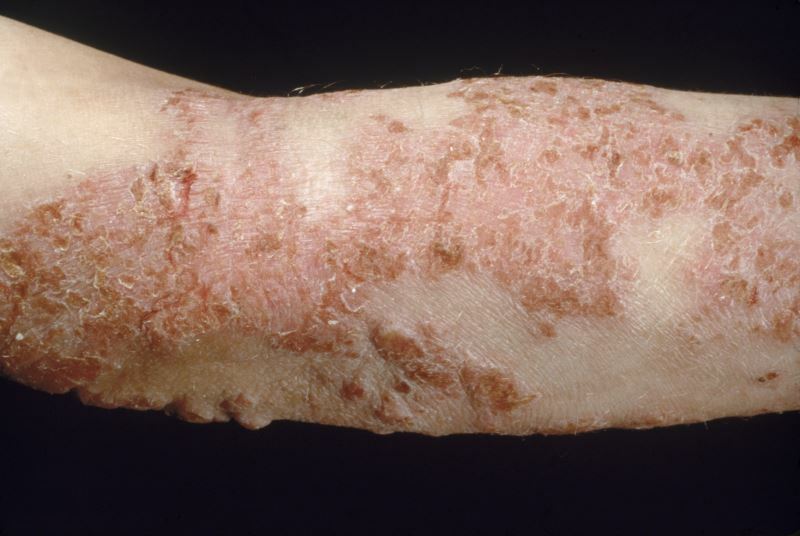 Atopic dermatitis (AD) is a chronic inflammatory skin disease characterized by eczematous lesions, dry skin, and pruritus that can result in skin breakage, which increases the risk for cutaneous and systemic infections. Several effective treatment options are now available for different severities of AD disease. The remitting and relapsing nature of AD, the absence of validated disease measures suitable for use in the clinical setting, and the lack of practical guidance from AD treatment guidelines creates challenges for physicians to select appropriately treatment and recognize when step-up therapy is needed. In a review by Boguniewicz and colleagues, limitations of the current AD management strategy, which is based on guidelines written for theoretic rather than practical applications, are discussed. As a solution to these issues, the investigators present the AD yardstick: a flow-chart to help clinicians recognize poor disease control in patients and a practical guide to stepping up therapy. The current guideline-based management of AD is a “control- and risk-based” model that adopts a step-care approach. In this model, an initial diagnosis is followed by pharmacologic treatment that is consistent with disease severity, incorporating nonpharmacologic interventions including daily warm water bathing, application of effective moisturizer, and avoidance of irritants and allergens. Acute symptoms are treated when they emerge, such as during disease flares. Although the step-care approach is the current standard of care, this approach is flawed in several ways with respect to achieving optimal outcomes. AD is a disease that waxes and wanes, with periods of symptom quiescence that may be followed by intense and severe itching, requiring treatment intensification. Although the step-care management approach provides treatment options for the different levels of disease severity, it provides no guidance or criteria about stepping up treatment for patients with poorly controlled disease. Consequently, despite several treatment options, including 2 newly approved agents — crisaborole 2% ointment and dupilumab — a substantial number of patients with all levels of disease severity are not able to maintain short- and long-term control of AD with few disease exacerbations. The AD yardstick attempts to address the need for a practical and clinically meaningful “how-to” guide to step-up therapy, using current guideline recommendations while incorporating new evidence and new treatment options. The goal is to address the current challenges physicians face in managing poorly controlled AD effectively and proactively at all levels of severity. The AD yardstick defines a patient profile that meets the criteria for stepping up therapy from mild to moderate or from moderate to severe disease, with suggested treatment options and strategies. For example, stepping up treatment from mild to moderate AD is recommended for a patient who is symptomatic despite treatment with a low to medium potency topical corticosteroid (TCS). Stepping up treatment involves increasing the dose or the potency of TCS, adding a topical calcineurin inhibitor (TCI) or crisaborole 2% ointment for eligible patients. Patients should be evaluated over a 3-month trial period, with assessment 4 to 8 weeks after treatment initiation. Stepping up treatment from moderate to severe AD is recommended for a patient who is symptomatic despite treatment for at least 3 weeks with an aggressive course of TCS, TCI, or crisaborole 2% ointment, and especially if the patient is experiencing severe and negative impact on activities of daily living, psychological health, and overall quality of life. Referral to a specialist should be considered, particularly if acute treatment or hospitalization is necessary to achieve disease control. In the moderate to severe setting, approved treatment options include phototherapy and dupilumab for patients 18 years and older. Systemic corticosteroid and systemic immunosuppressant therapy (including off-label use of cyclosporine A, methotrexate, mycophenolate mofetil, and azathioprine) are also recommended for patients with moderate to severe AD. Patients should be evaluated over a 3-month trial period, with assessment 4 to 8 weeks after treatment initiation. The AD yardstick emphasizes that treatment adherence is critical to achieving optimal outcomes. The investigators recommend that before stepping up therapy, patients should be assessed for risk for nonadherence, potential comorbidities, and confounding factors that can have a negative impact on AD treatment response. This includes patients’ willingness to commit time and resources to the recommended treatment. The emphasis on confirming that symptom progression — from mild to moderate or from moderate to severe — is actually caused by AD activity, is perhaps a challenge that must be overcome. Confirming that symptom progression is the result of AD activity requires the use of validated AD disease assessment tools. The currently available validated assessment tools are not commonly used in the clinical setting, challenging the accurate assessment of disease severity, treatment response, and monitoring of disease progression. Despite these limitations, the AD yardstick is a significant step forward in improving treatment for patients with loss of disease control. Boguniewicz M, Fonacier L, Guttman-Yassky E, Ong PY, Silverberg J, Farrar JR. Atopic dermatitis yardstick: practical recommendations for an evolving therapeutic landscape. Ann Allergy Asthma Immunol. 2018;120(1):10-22.